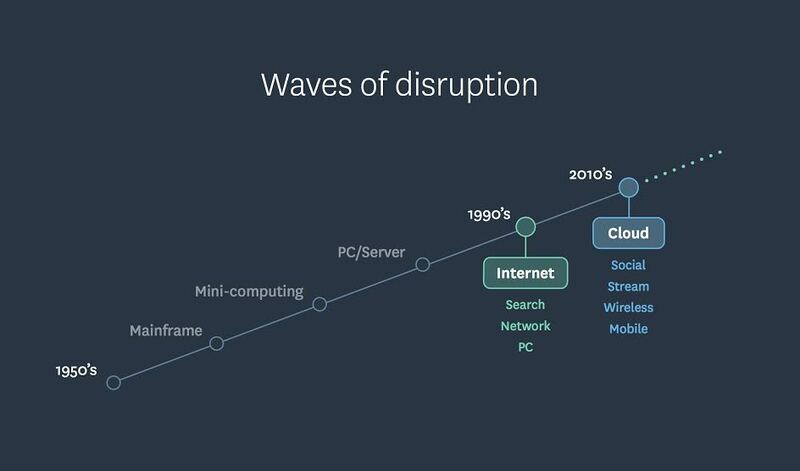 And so began Andy Lark, CMO of Xero, launching into an overview of the actual rate of change in the digital era at Xerocon Denver 2015. Why do companies increasingly struggle to stay up-to-date with the accelerating pace of digital transformation? How can individuals and businesses learn to navigate today’s shifting landscape in a way that better prepares them for the future? They key, Andy says, is figuring out what is driving the change in business so you can get in front of it. The days of pushing information out to customers are over. Companies will grow by encouraging participation. According to Andy, “People simply are not engaged with traditional media.” Eighty-six percent of people skip TV ads, and 44 percent of direct mail is never opened. So how should small businesses interact with customers? Listen. Take feedback on customer experience—all the time, at every transaction, not just once a year. Ask customer to rate performance, and learn from what they report. Put out great content, via blogs, via YouTube, via articles. Get really smart on the information that you’re putting out. Know how to educate customers. Know how to encourage them to download your videos—whatever increases participation. To reach the most users, mobile is where it’s at. The vast majority of users will be on mobile, and it will be their first interaction of the day. Therefore, technology that supports a great mobile experience will be the differentiator. Reportedly 40 percent of customers change to a competitor because of a poor mobile experience. “Technology will drive the way customers feel and see you,” says Andy. But also be aware of the shifts among devices across the day — desktop dominates during the workday and tablets in the early evening. Bonus round: prepare for capability to communicate on the mobile watch if it makes sense for your brand. Then your customers can be anywhere and engage with you. According to Andy, “The traditional age of marketing is over. The idea that we drove the attention economy is going to be replaced by the intention economy.” Make the easy data points readily available with automated tools like dashboards. Then focus on providing the data that is really hard for customers to access. That is when trust shifts to you, and huge value is created. No, really. Andy says to “gamify” the customer experience. Make the interaction simple, elegant, and beautiful. Xero aims for its dashboard to “make doing the books feel like playing the Xbox.” Invest a lot in great design. Companies like Apple are continually raising the bar on what beautiful design looks like, and it’s a trend that every smart company is learning to follow as best as they can. Know why you exist, what it is you actually do. Conversations with your customer ought to be around what their values are, what they want to achieve, and how they work. When you work with customers that align with your purpose, says Andy, you gain enormous growth. And key to all of this, Andy says, is figuring out how to keep pace with all the change in business as fast as possible. Early adopters eat the late ones, he warns. Those who control the interaction win. And no one is safe, not even Google: 30 percent of shoppers start on Amazon, not the search engine. Andy compares not paying attention to digital change in the business the world, to ignoring doctor’s warnings about behavior change and health. More than 98 percent of people who suffer a serious health ailment (heart attack, develop diabetes, etc.) contracted the problem after being warned by their health provider,. If nothing else, that should scare you into at least doubling down on your company’s mobile platform.